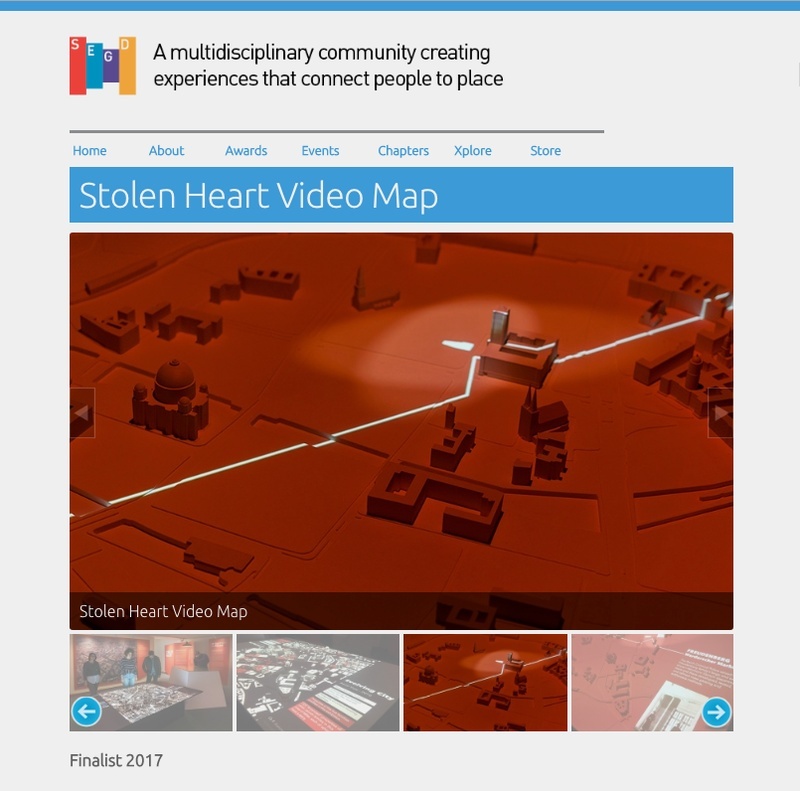 Just in: C&G's Stolen Heart Video Map for the Leo Baeck Institute was selected as a finalist for the SEGD Global Design Awards 2017. The 3D-printed, projection-mapped tabletop video is the centerpiece of the exhibition “Stolen Heart: The Theft of Jewish Property in Berlin’s Historic Center, 1933–1945,” which was on view at Leo Baeck. Topographic and time-lapse elements mix with stylistic color tints and a custom musical score in the animated video portion of the experience, which is projected onto a 3D-printed, 1:1500 scale, historically accurate model of Mitte, Berlin’s center of culture, commerce and government. Technologies powering the experience include players by Brightsign and specialty projection from Christie. Read more at SEGD.